Everything you need to know about Milwaukee 10 inch miter saws. 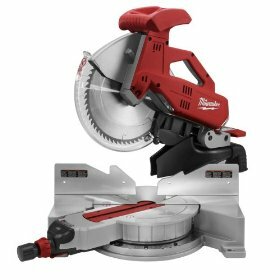 Milwaukee Tool Corp. from its inception in 1924 have brought out quality heavy-duty electric power tools and the Milwaukee 10 Inch Miter Saws are no exception. They are motorized power tools used for fast and precise crosscuting in a work piece. They are capable of quickly cutting multiple boards with the same length with good accuracy. Their common usage is in cut picture frame molding and to fit crown molding as well as other finish carpentry. The size of the saw depends on the diameter of the blade, namely 8", 10", 12"and 14" models. Basic Miter Saw: DIY enthusiasts like them. They adjust for miter cuts only. The Milwaukee Magnum 15 Amp 10-Inch Miter saw is a fine example. Compound Miter Saw: Easier to use than the basic model. This not only cuts precisely, but also adjusts simultaneously for miter and bevel cuts. Hence they are used for vertical and horizontal cut angles. Milwaukee Miter Saw 10" Compound 15A is an example. Sliding Compound Miter saw: The best among the lot. These help for larger width of board. The dual bevel capability allows the blade to be tilted left and right. The latest Milwaukee Sliding Dual Bevel Miter Saw released is a 12'' miter saw. The Saws come with a Dust bag that helps to keep the work area clean. Milwaukee 10 Inch Miter Saws -Base model: This is the one for professionals. Coming with a five year warranty, this model is powered with 15 amp motor, produces 4800 rpm and is excellent through hard woods. The table moves with ball bearing while the miter table moves smoothly on different angles. The positive stops are at 0, 15, 22.5, 30 and 45 degrees left and right. The extra wide angles reach 51 degree left and 59 degrees right. There is fine adjustment possible. As there are large pieces there is an extra fence provided to support large work pieces. The automatic retracting lower guard helps with high visibility and large capacity. The locking pin helps during transportation. Milwaukee 10" Miter Saw with compound miter is also 15 amps powered, produces 4800 rpm and has a special override mechanism. This allows fine tuned adjustments to pre-set the miter angle that is used for precision cutting. There is non-slip locking system present with bevel angles which work from 50 degrees left to 3 degrees right. Miter angles also work which are between 51 degrees left to 59 degrees right. Here an extra tall flip fence is provided for maximum material support. The patented flip fence can be flipped. Among the disadvantages, if there are parts to be replaced the spare parts are found to be expensive. Some of the handles are tight and is difficult to operate. 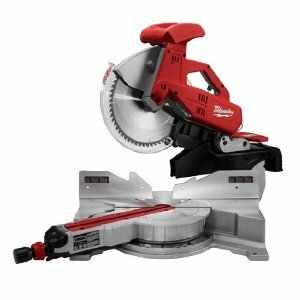 Milwaukee 10 Inch Miter Saws today have been replaced by the Milwaukee 12 Inch Sliding dual bevel miter saw. So an avid tool user will not find new pieces nor replacements. The Milwaukee Miter Saw is a great product for keeps indeed! Return From Milwaukee 10 Inch Miter Saws Page to Home - Finishcarpentryhelp.com.